This is the thread for the March 2019 Monthly Painting Challenge. I’m Caedrus, and I’ll be your host for 2019. March: a change of Season! Whether it be a Southern Hemisphere autumn, or a Northern Hemisphere Spring, change is in the air! I've made a small change to TOS values (see below) based on feedback from @Athiko. Please let me know if this sounds OK to people! If you’d like to be part of this challenge, please introduce yourself below, and post what level you’ll be painting at! The painters who have already signed up have their details put into the spreadsheet here. Motivating yourself, and encouraging others. Being part of a great, friendly community. Getting some pigment onto plastic! This is not a competition in any way. The challenge started on January 1st, 2019. Models count for the month in which you finish them. 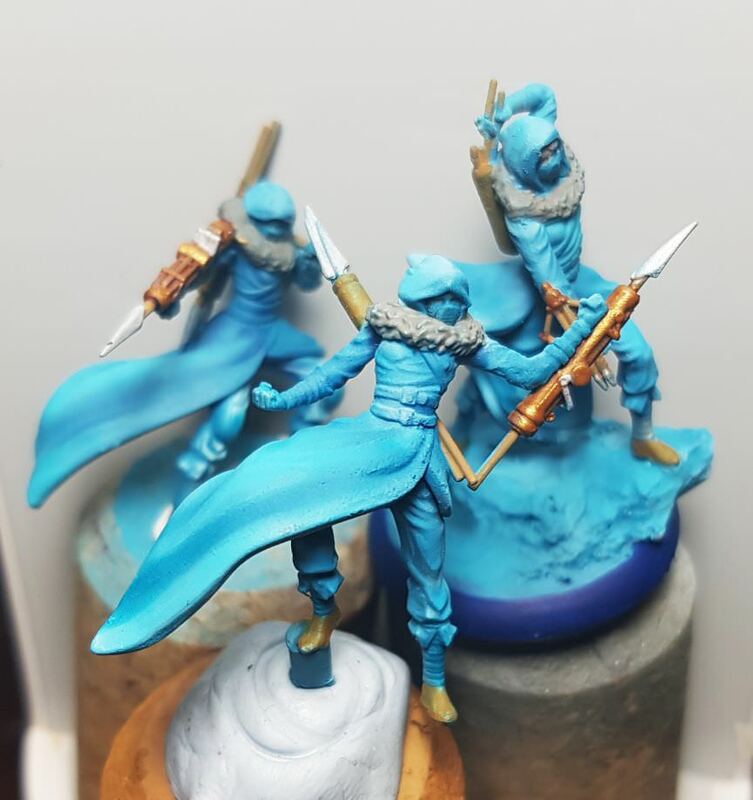 You can finish painting a model that you started before the beginning of the month. Everyone may fail to make their monthly goal twice and stay in the challenge. This is using a mulligan. You can choose to go down a pledge level during the year, but you cannot move up. You may choose to sign up during a later month for the challenge but this m﻿eans that you'll have to use one or two of the aforementioned mulligans: e.g. if you start in February, one mulligan will automatically be used because you missed January; if you start in March, two mulligans will already be used; you can’t start in April. This means if you want to join / start the challenge, you must meet every month's pledge from now on! 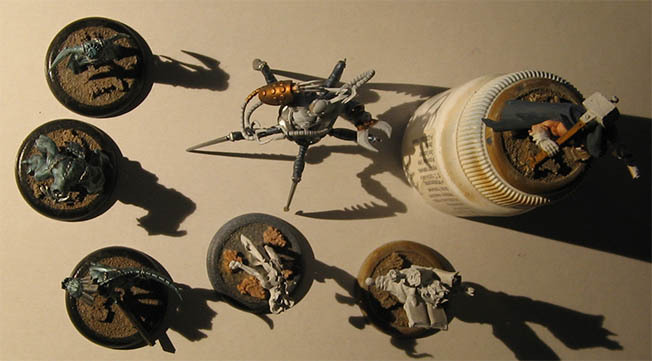 A model is considered painted if it is (1) based (even glued onto a black base counts); (2) tournament legal. That means that if it's a translucent, based model, it counts automatically. 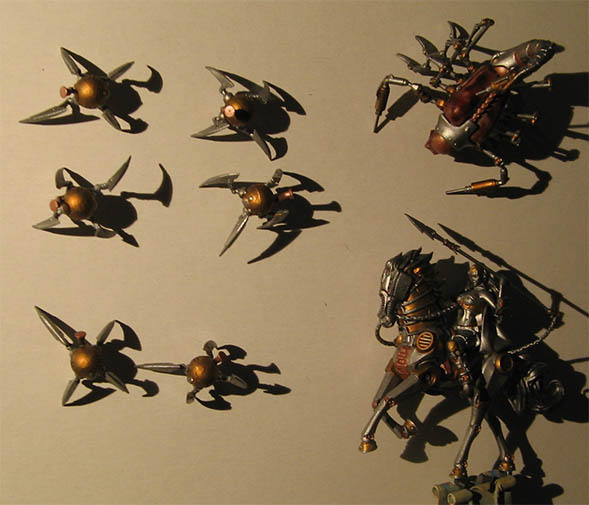 If it is any opaque material, then the standard is: Every part of the miniature painted, and three colours minimum. Masters count for 15 soulstones. Zero cost models count for 5 soulstones. Proxies (constructed from Wyrd models) count for their proxy value. Titans count for 25 soulstones. Commanders count for 15 soulstones. Adjunct models count for 5 soulstones. A 30mm base model is worth 5 soulstones. A 40mm base model is worth 7 soulstones. A 50mm base model is worth 10 soulstones. Terrain is worth 5SS per 50mm base in area. Custom tokens are worth 5SS per 50mm base in area. A terrain board is worth 100 Soulstones. If Malifaux 3rd Edition hits in 2019, then the month that the PDF version is available, we will begin using the new values if they differ from M2E. Go to imgur.com, and create an account. Click on your account, click on 'images', and then 'add images'. Click on your uploaded image. You'll see a whole bunch of link options. Click on the 'copy' button next to 'direct link'. Go to your Wyrd Forum thread. Paste (CTRL-V) at the appropriate spot. The image should appear, resized appropriately to the page. My very best for March! For this month, I pledge 21SS of damn-near-finished Acolytes, and 3SS of Vulture! Have a great painting March! Started on the base and a single basecoat layer yesterday. 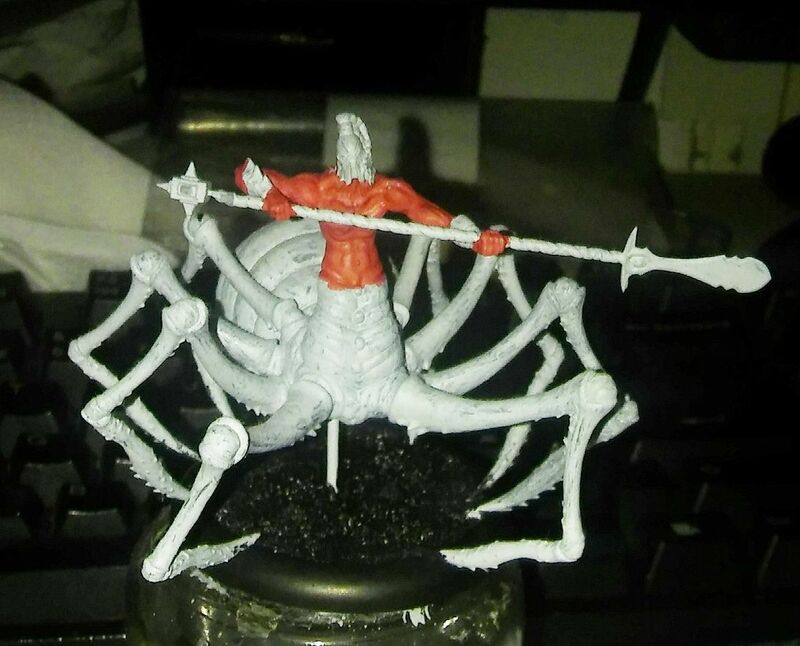 Pledging single Jorogumo for 9ss. I've got a special colour scheme in mind for this one. The box should be worth 25ss should I paint all the components. I will start by completing what I'd initially planned for February - Cherry Bomb for 8ss to get me started. 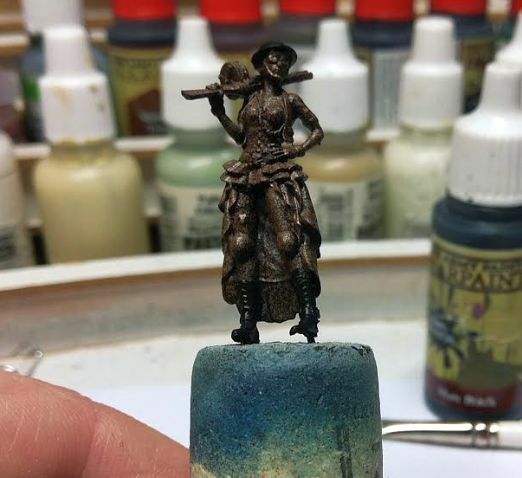 Once she's done, I will work on Marcus' crew. I will be painting two boxes simultaneously and want to start with Cojos. I'll post some WIP pics once Cherry is finished and the guerillas are assembled. I'm also starting a Marcus box for this month... though if I knew Viruk was doing the same I'd of chosen a different theme so I didn't have to look bad in comparison, haha. Going to try and paint up a fire team of Warped from TOS to test out a paint scheme. Will probably end up painting more than that but lets see how it goes. * Note: Scrap may not actually yield scrap markers. Consult your necromechanist before use. 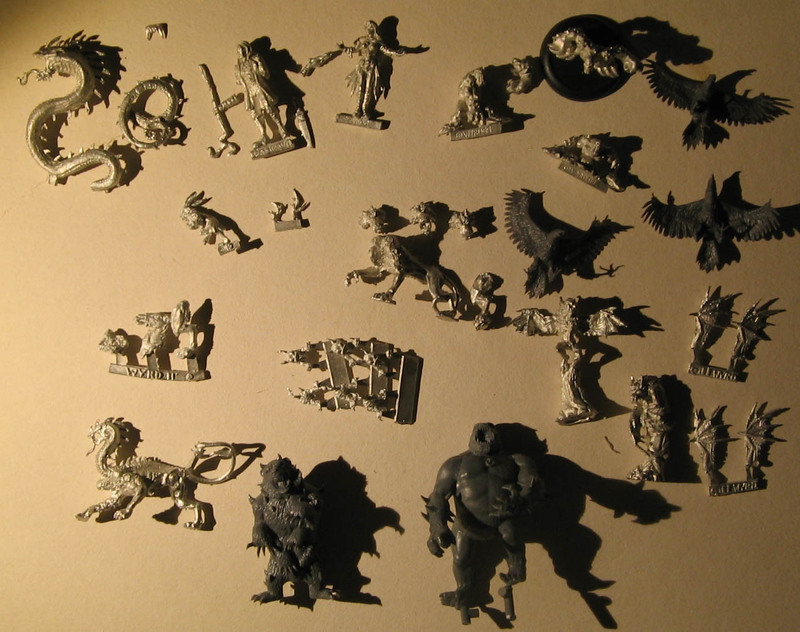 Note that this bunch of stuff is not meant to be this month's pledge, I'm gonna try and do as much as I can and the whole bunch is just to show that they're still unpainted. Stretch goal will be to start on The Doomseekers...can't wait ! Alright, count me in for this painting challenge at Tyrant Level - I've got a bunch of TOS to paint up. To start with, here's what's on my desk - Adeodatos, 3 (almost finished) Portals and 3 Raving Madmen for 60SS total. Welcome to @OctaBit, and Welcome to @Rathnard! 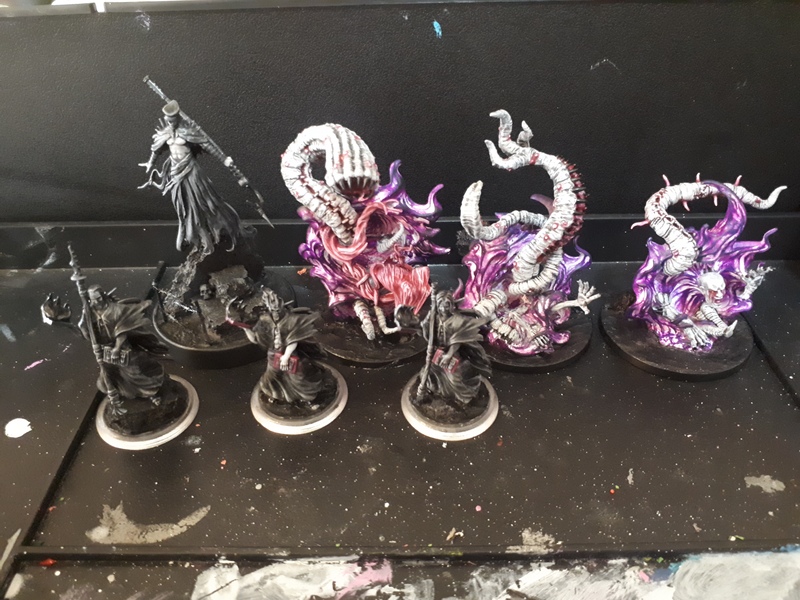 My plan is Howard Langston and Angel Eyes from scratch, and finishing touches on Scion of black blood, nurse heartsbane and an orderly (I did them a bit for a game I had mid month ). Also a wizkids D&D ranger, fwiw. For March I'm starting the Perdita crew, such a lovely family! For a total of 39 SS (few models but quite pricey). In case I finish them in time I have some non-Wyrd models to paint (consequence of being a friendly drunk), if I manage to finish those too I'll continue with the Ortega family, but I wouldn't bet on it. That would make it look like crap in both themes. How about just leaving text color unmarked? Pledging Miss Deed for March. Photo coming later. if by the end of this month I haven't finished a Malifaux Rat. That to say before the Kitty could eat her?